Mary Basta is an Associate Director of Culshaw Miller Lawyers and a Family Law practitioner in Perth, Western Australia. 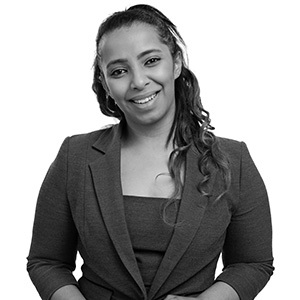 Mary completed a combined Bachelor of Laws and Bachelor of Commerce (majoring in Human Resources Management) prior to commencing her employment with the firm in May 2011. She has practised exclusively in the area of Family Law during that time, completing higher education in respect of the Family Law sphere. She has been involved in numerous complex children and property matters, and has conducted her own cases in the Family Court of Western Australia, as well as briefed Counsel to appear at same. Prior to working with Culshaw Miller Lawyers, Mary worked at Legal Aid Western Australia, where she was exposed to, and provided advice on, a range of complex Family Law issues. Mary was also employed as an Associate to the Deputy President of the State Administrative Tribunal, where she was involved in the hearing of guardianship and administration, equal opportunity, mental health and vocational regulation matters. Mary is a strong believer of the fact that each individual’s case is different and therefore continues to offer her clients the utmost personal attention and assertive and determined representation, and has branded her practice to be synonymous with honesty and reliability.